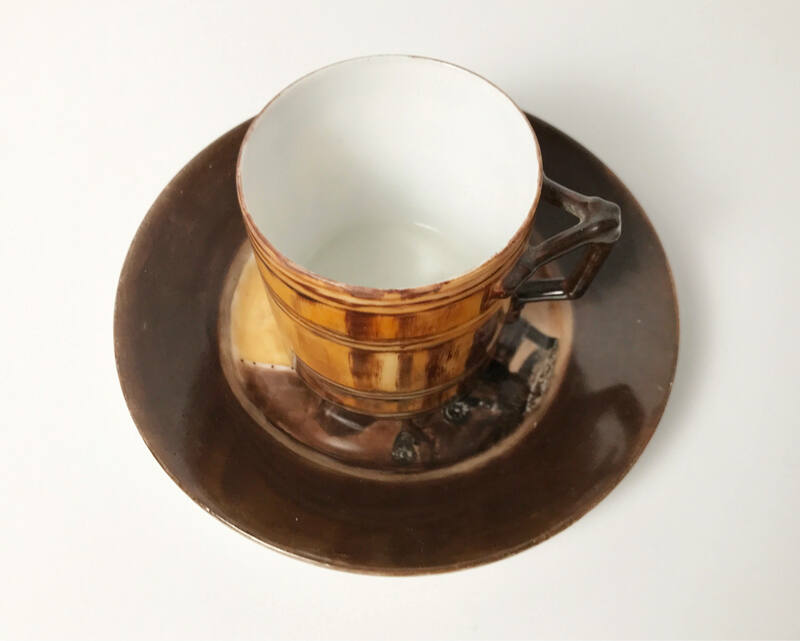 This is a unusual hand painted porcelain demitasse and saucer was made in Limoges, France between 1894 and 1900 - a true antique. What makes it truly unique, however, is the very odd little paint job. 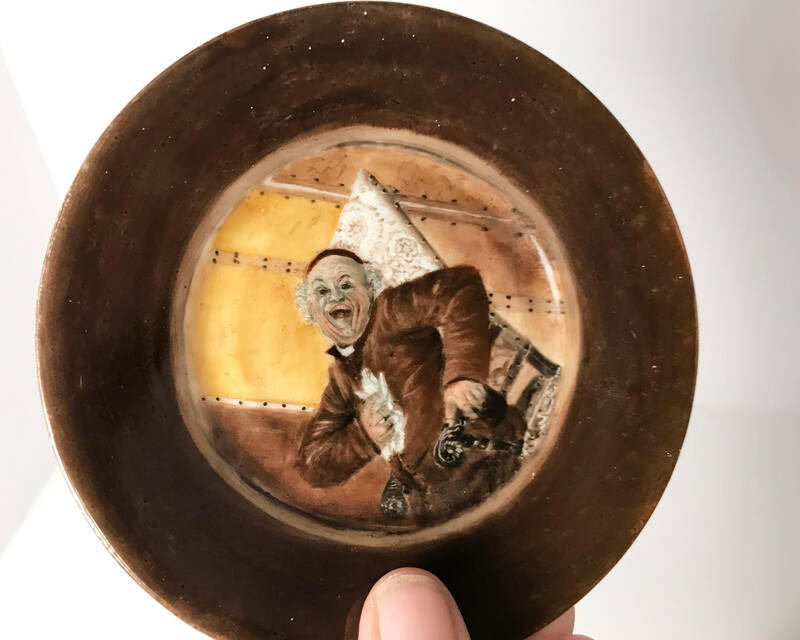 The saucer features a laughing cleric of some sort, or perhaps a laughing monk, clutching a handkerchief to his chest, and seated in a fancy chair (perhaps it's a pope?). I have no idea of the significance of this piece, but I suspect it is taken from some sort of painting or cultural icon of the period. 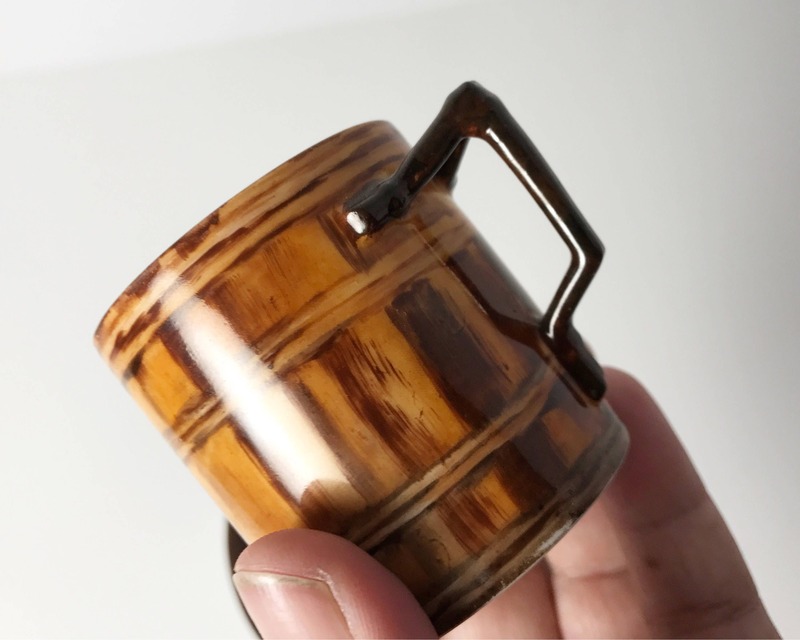 The cup is painted like a wine or beer barrel. Would make a great novelty gift. 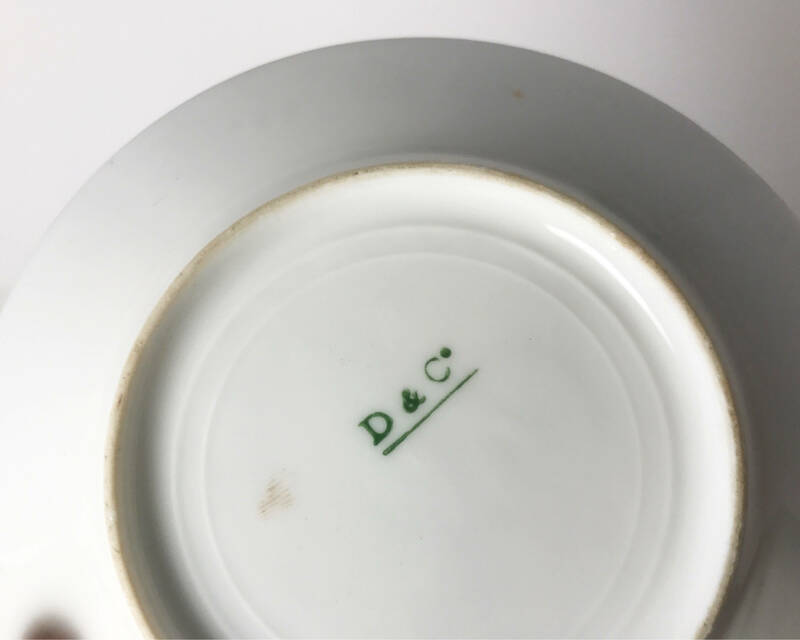 It is marked with D&C in green which stands for Delinieres and Co. This small company made some very delightful pieces whilst in operation. 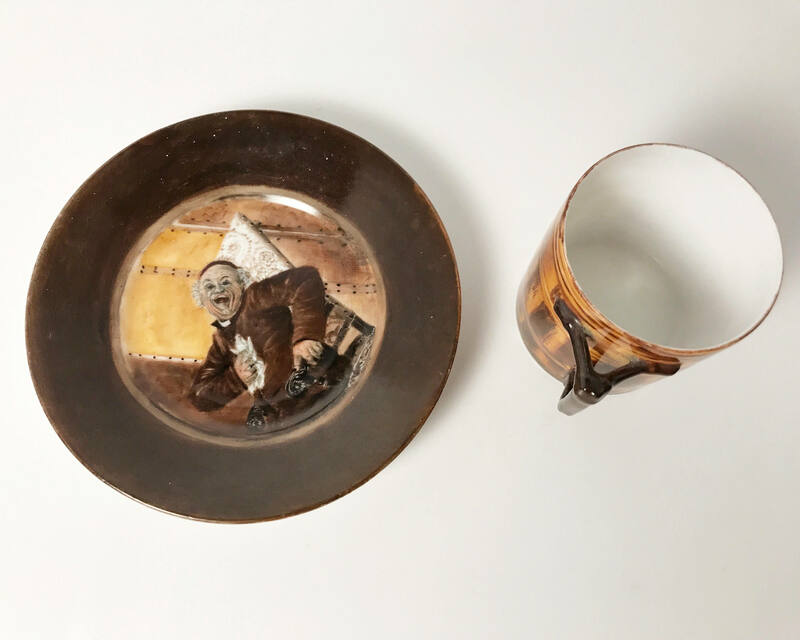 Limoges, since the discovery of hard-paste porcelain in Europe, has been a region renowned for gorgeous porcelain pottery, much of imported to the U.S.
Hand painting ceramics was an art form that was all the rage, particularly with well off women with free time on their hands, from the 1870s through the 1920s. Women would take classes in the art form, and produce fabulous one of a kind pieces of art for their families, to give as gifts, or donate to charities. Some women even made a profession out of it. 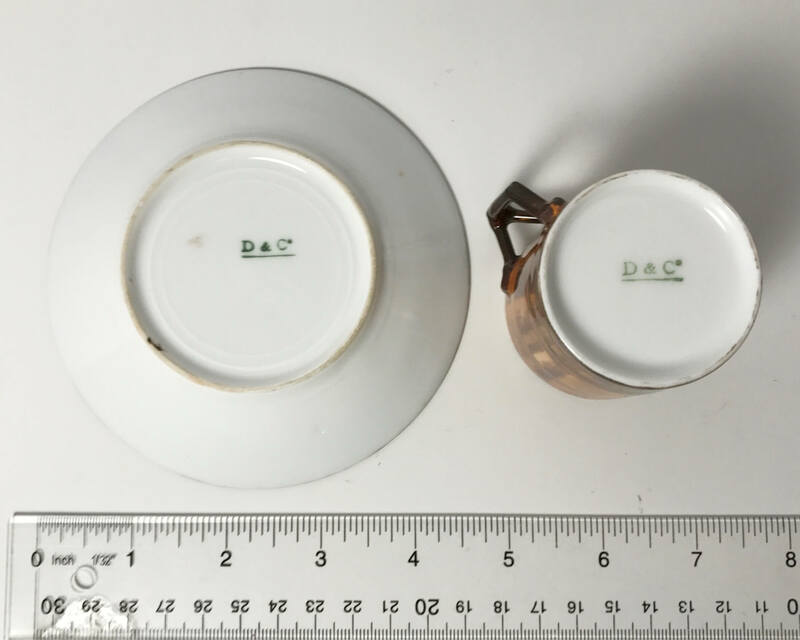 Many china companies produced beautiful white blanks that could be used for the art form, and porcelain from Limoges was a very popular choice for those that could afford it. There were even magazines and schools devoted to the pastime. 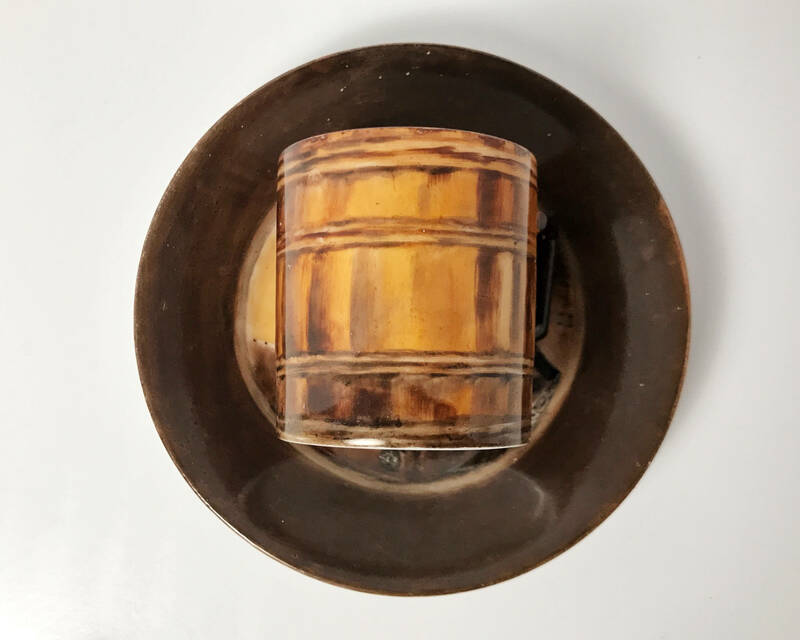 Of course not every woman was equally talented or spent much time learning the craft, so the quality of these plates can vary. This is a lovely piece and fairly well executed. 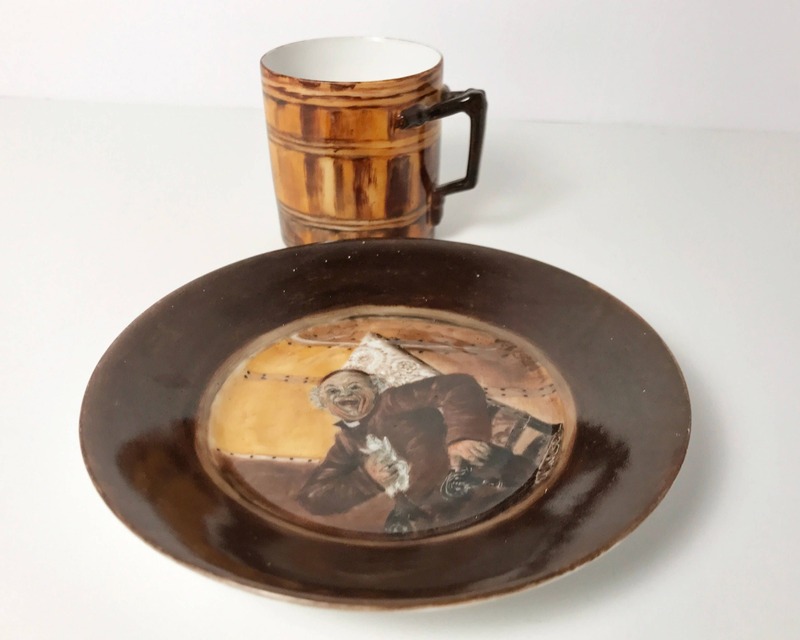 Collectors treasure the finer examples of this charming art form, and their history is so interesting. 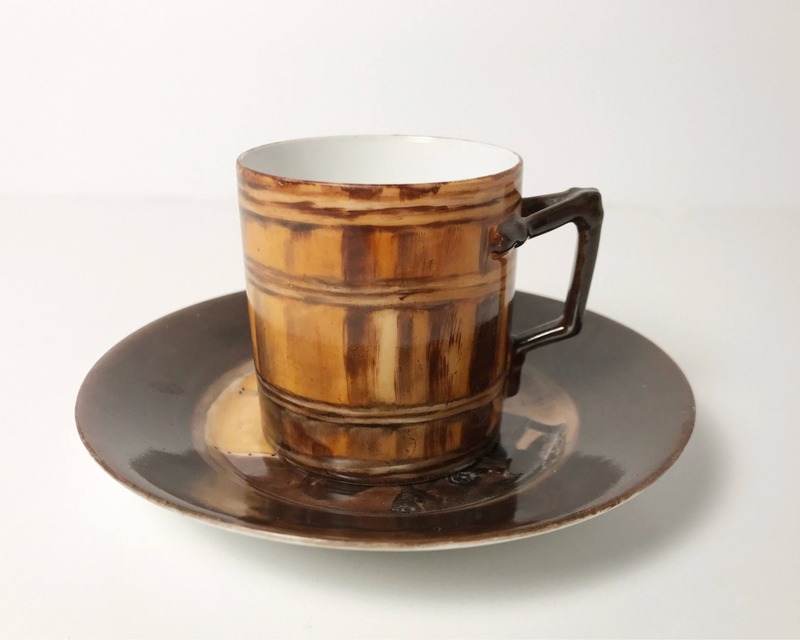 SIZE: Saucer is 4 1/2 inches wide and the demitasse cup is 2 1/4 inches high.